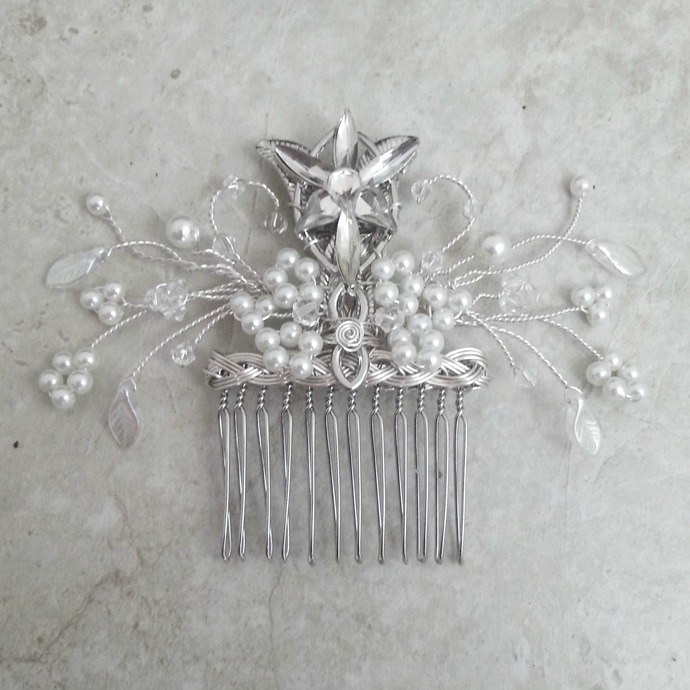 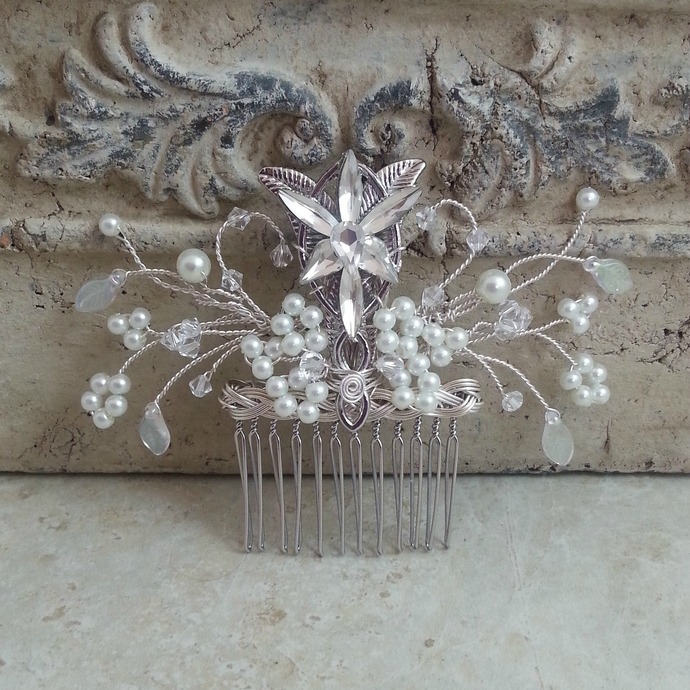 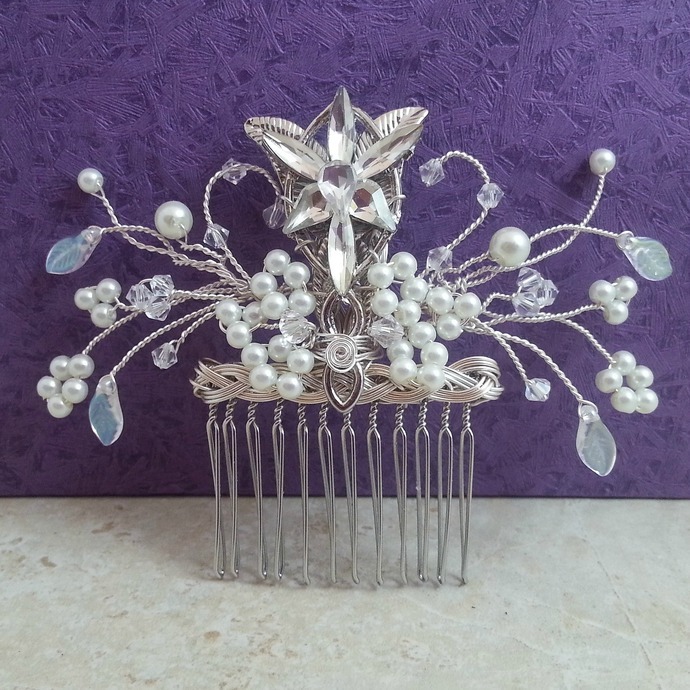 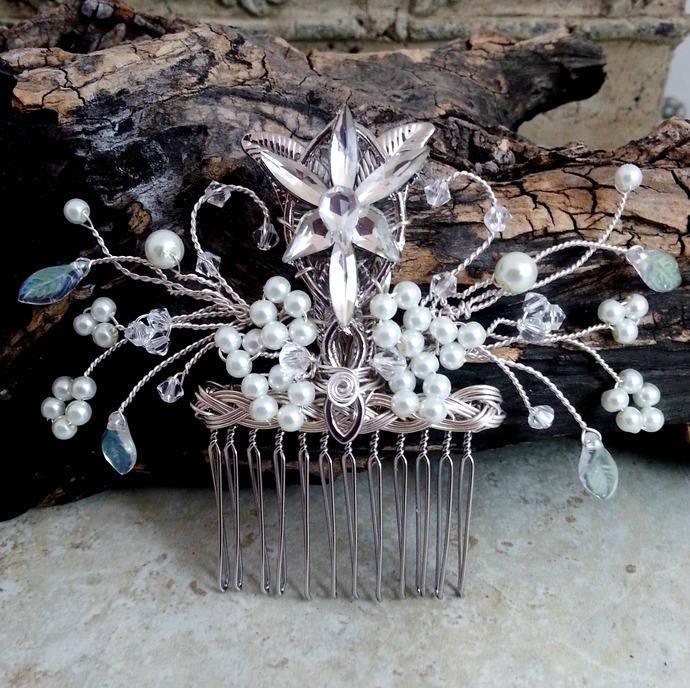 A beautiful wedding hair comb featuring an Evenstar, Swarovski crystals and Czech glass pearls. 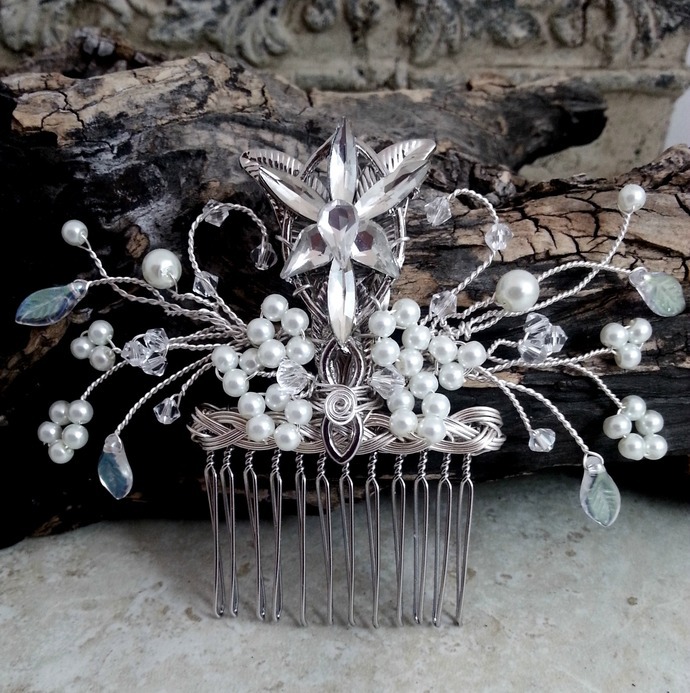 Perfect for an elven wedding or other occasion. 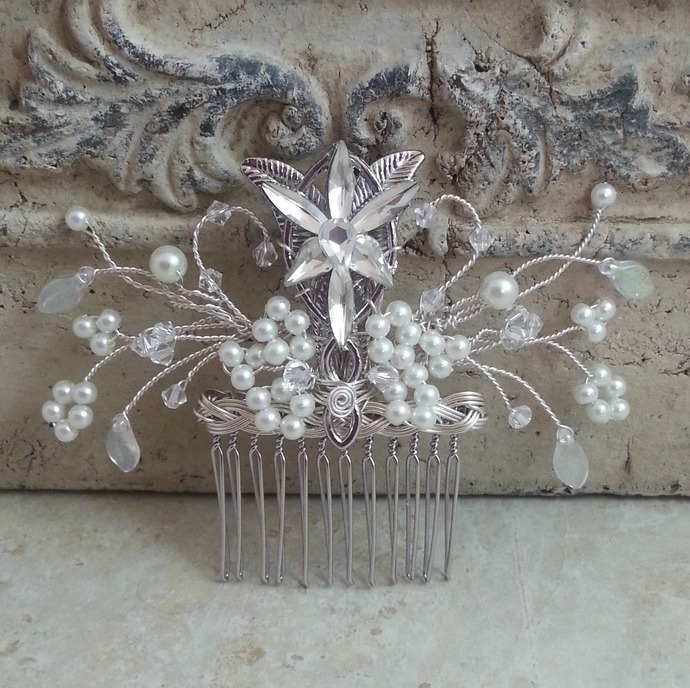 The base of the comb is 2 inches and the total width is about 5 inches, height above the comb base is about 2 inches.